Ideas for Scrapbookers: Easy punchy flowers to make! 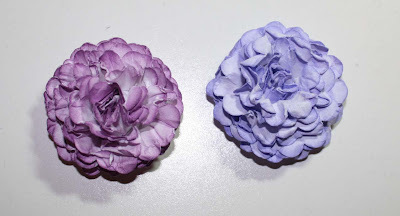 Easy punchy flowers to make! Today I have a handmade flower to share. It's so easy, this one is fool proof. 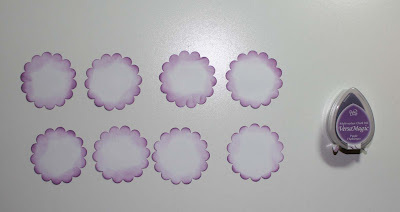 I ran across a video by Dawn Griffith, a Stampin Up demonstrator so this idea is a slight variation of her paper flowers. If you'd like to watch Dawn's original video please click here. 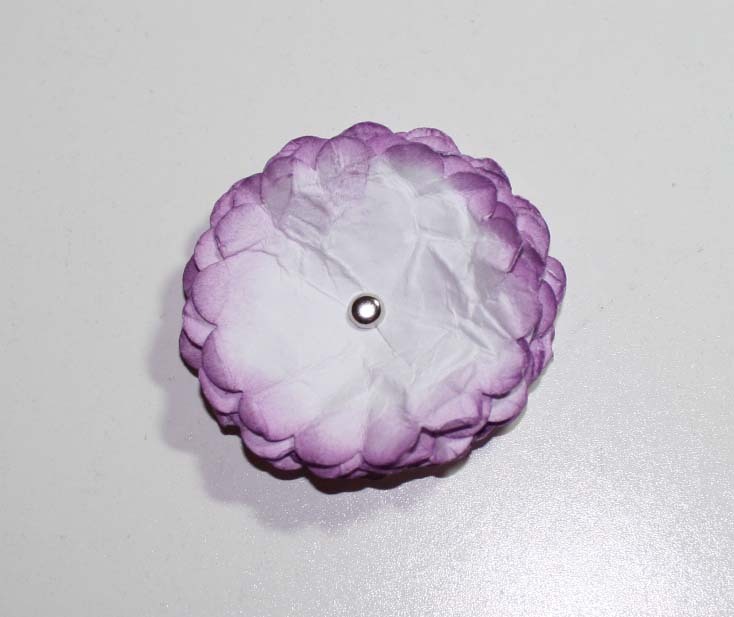 This is a close up of the finished flower on a layout. To make this flower I used a scalloped punch 1.75 inches in diameter. My punch is a Stampin Up punch which I just love because it's so versatile. To get started punch 8 scalloped shapes out of white cardstock. I inked the edges of my punched shapes to give my flower it's purple color. Next take a spray bottle, fill it with clear water and lightly spray the punched shapes. 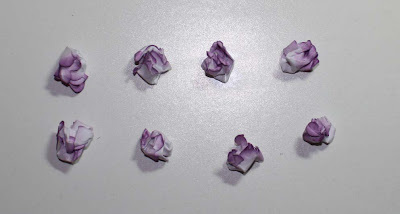 Since cardstock is rather heavy paper the light misting of water makes the paper easier to manipulate, however, don't overdue this step or your flowers will tear.﻿ Once all the petals are damp pick each one up and crumple it into a small ball. Now carefully unfold each petal and lay them flat. Your petals can still be damp. Now stack all 8 shapes on top of one another and cut or pierce the center. 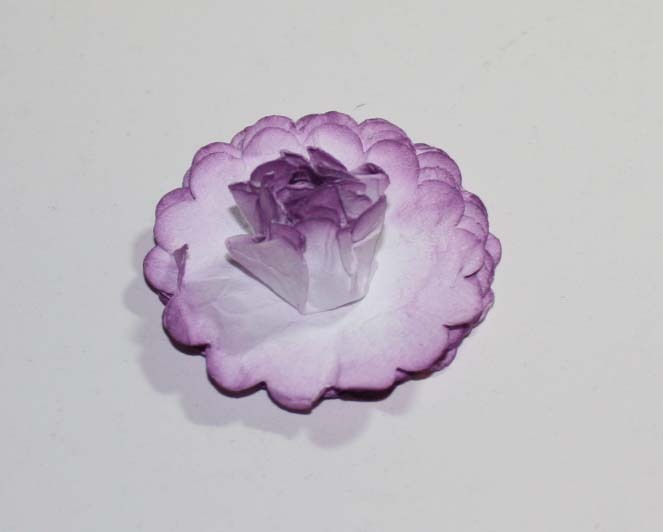 Once you have cut through all 8 petals, place a small brad in the center to hold the stacked petals together. Now comes the fun part! 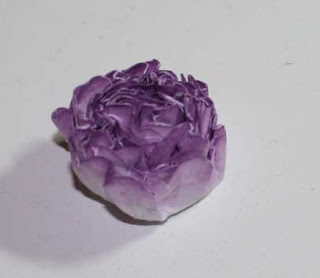 Take your top petal and crunch it altogether in the center of the flower. If your petal is still slightly damp this will be real easy. 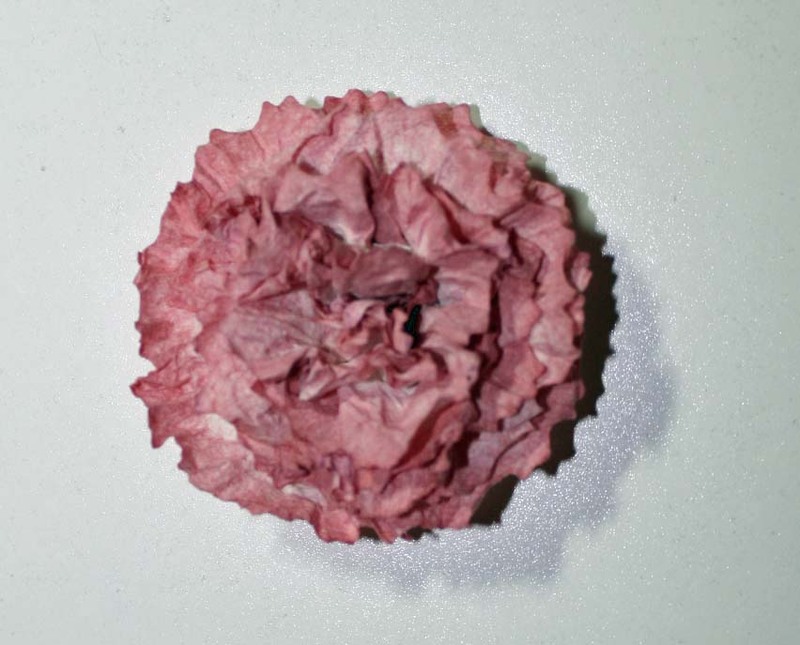 Now continue with each subsequent layer, crunching the petals as close as you can to the center of the flower. When you get to the very last layer your flower should look something like this. 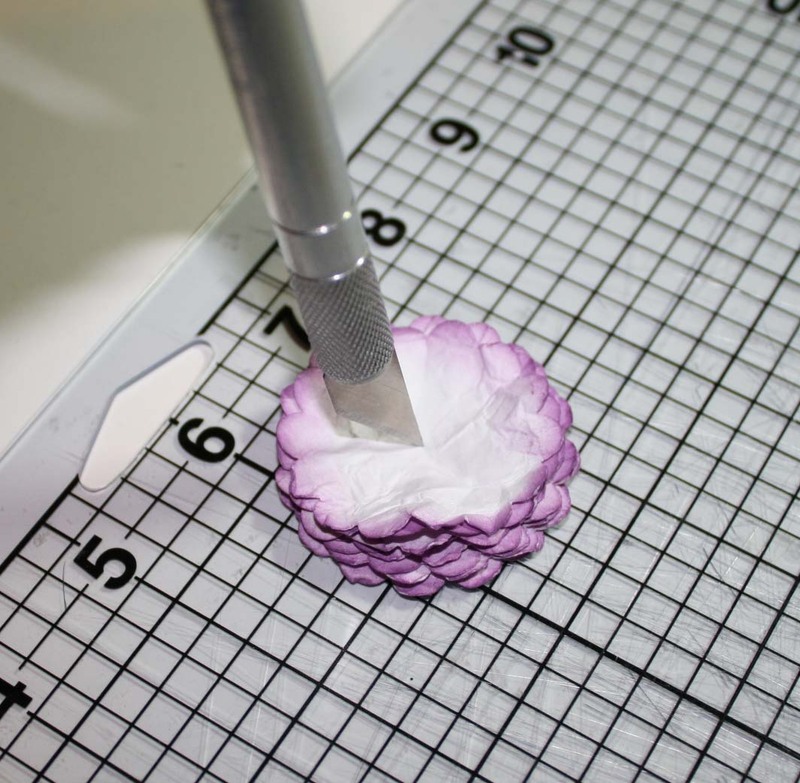 ﻿Now all you have to do is carefully pull away from the center the layers until you have a flower that is full with lots of wavy edges. Leave your flower center crunched up some so that the brad in the center doesn't show. I made two flowers using this method for a layout. Here are my finished flowers. 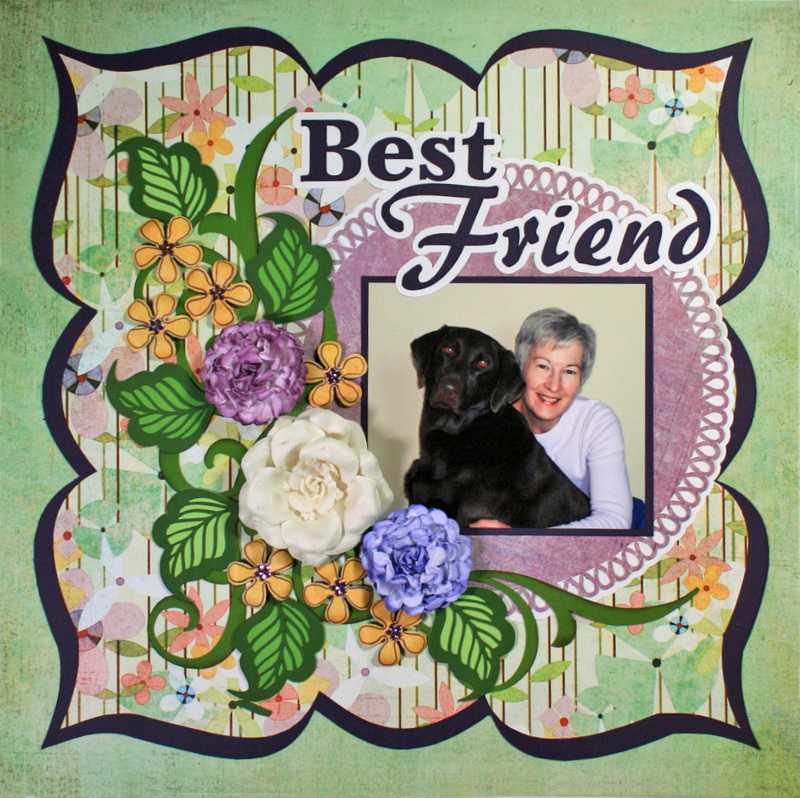 And here is the layout titled "Best Friend" that I placed them on. 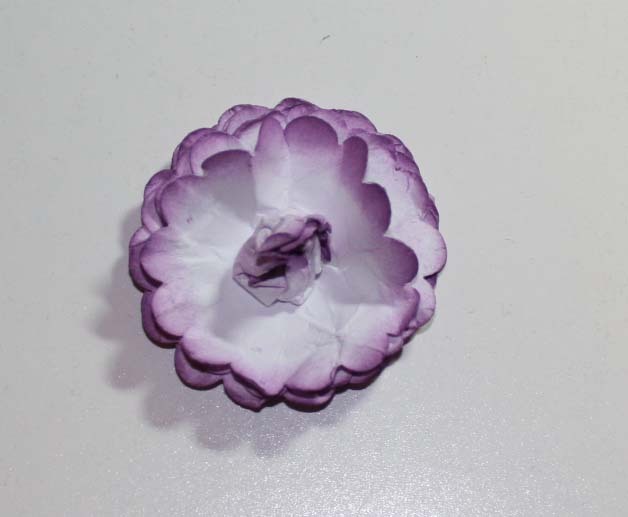 The fun part about this flower is that you can create one of these without even using a paper punch. I drew 8 circles on white coffee filters, then cut out my circles using a decorative scissor with a interesting edge. 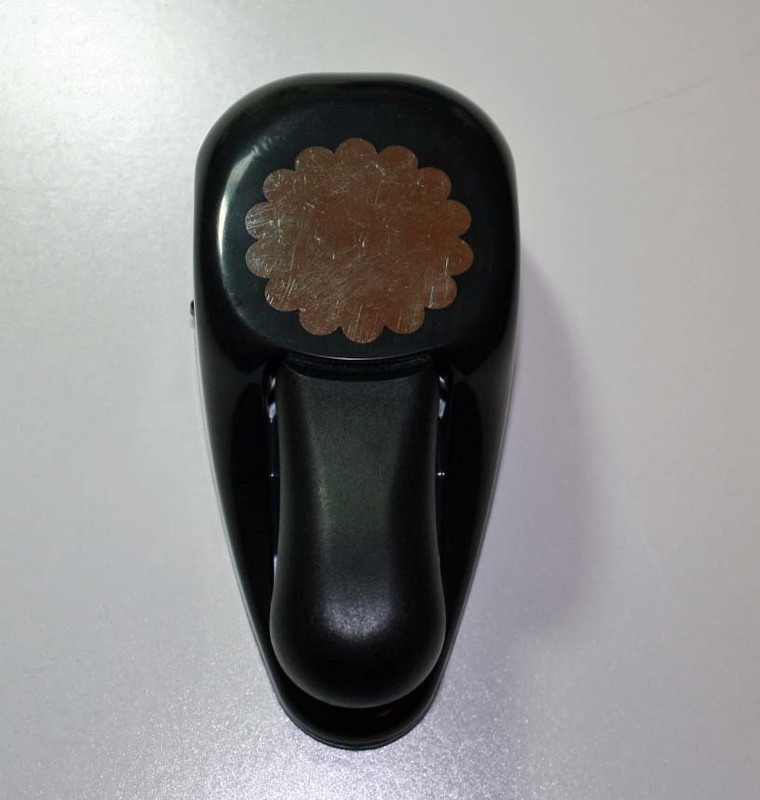 Then I followed the steps here and got a beautiful flower, so don't pass this one up if you don't happen to own a scalloped punch. Here is my coffee filter flower, this one looks more like a carnation because my decorative scissor had more of a spiked edge. 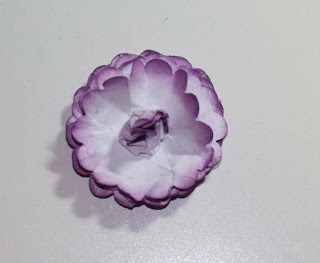 It also has a different look to the petals because coffee filters are not smooth like cardstock. Go easy on the misting with coffee filters because they absorb water very easy. Think outside of the box with this technique. By cutting your flower petals out of paper with scissors you also have control over the flower size, so go smaller or bigger to get a variety of blooms. Great tutorial and wonderful LO! So very pretty and your tutorial is super easy to understand. Thanks Dolores! This one rocks! beautiful! Great tutorial too! I have seen them before and been wanting to try them! Thanks for bringing it up and now i must give it a whirl! thank you i really MUST give these a go!! Thank you for the clear (and simple) explanation. The step by step photos make this so "do-able" for everyone to give it a go. Fabulous!! I am SO going to give this a try! They are beautiful. Thanks for sharing! Designer Showcase: Autumn Colored Projects! Special Guest Post By Libeeti! Its Clear To See, I Love Acrylic Albums! A New Two Circle Template! 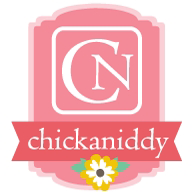 Reader's Page + 2 More Free Sites! Using Clipping Masks by Larissa! Photo Effects by Cindy C.! Tropical Christmas Angels by Sandy A.!